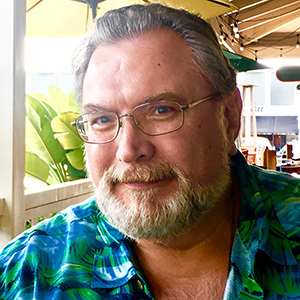 With three days of breakout sessions, 1:1 access to top-tier publishing professionals, and a lineup of literary luminaries, the 2019 SDSU Writers’ Conference takes place Jan. 31–Feb. 2 at the DoubleTree by Hilton Hotel San Diego – Mission Valley. Now in its 34th year, the conference has a long history of launching literary careers. 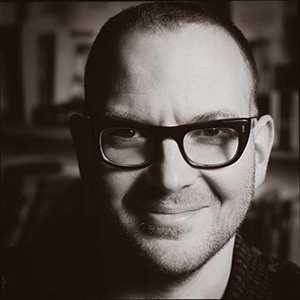 Keynote speakers are Cory Doctorow, science fiction author, activist, journalist, and blogger (boingboing.net); and Jonathan Maberry, New York Times bestselling author, five-time Bram Stoker Award-winner, and comic book writer. Each will share insights from their path to success, words of advice to aspiring writers, and thoughts on the evolving publishing industry. “We want to offer a holistic view of what it’s like to be a writer, right now, in all its glory and dirt,” said Conference Director Erin Quinn in her interview in The Writer magazine. Attendees can choose from four tracks of career- and craft-focused breakout sessions — more than 30 — for authors of all levels and interests. There’s also an optional pre-conference workshop designed for an intimate group, with a focus on key elements of the writing process. A new feature is the opening night Practice Your Pitch session. A hallmark of the conference is 1:1 feedback from top-tier agents and editors — many of whom meet with unrepresented writers only at conferences. Attendees can schedule an Advance Reading with two agents or editors for feedback on the first 10 pages of a manuscript (submitted in advance of the conference) and up to three Consultations — the opportunity to pitch and discuss a project. “I have never seen such a good lineup of agents outside of New York,” said international best-selling author Alexandra Sokoloff, a presenter in 2016. Attendees have numerous opportunities to interact with agents, authors, and presenters, including the opening night mixer, Friday breakfast and luncheon, and Saturday breakfast. Tables are designated by genre, making it easy for writers to find their literary tribe. Registration is required prior to scheduling Advance Reading and Consultation appointments. Register by Jan. 7, 2019 to secure the early-bird fee of $529. Appointments can be scheduled here. Learn more at neverstoplearning.net/writersconference. For questions, call (619) 594-0670 or email sdsuwritersconference@sdsu.edu.